Humboldt County is a birder's and nature lover's paradise. We have some of the world's tallest trees, miles of unspoiled coastline, and lots of public land including a national park, 13 state parks, two national forests, and a national wildlife refuge. The wildlife viewing opportunities are incredible; for instance, nearly 500 bird species have been seen here! At any time of year, it is possible to see over 100 in a day. Seals, whales, otters, elk, and bears are also abundant. Let me share them with you! I can do tours in other parts of California as well. For liability reasons, I cannot provide transportation. I can customize your tour to focus on certain species or habitats, or we can take a less-focused approach and simply go exploring! Our choices will, of course, be influenced by the season and the weather. 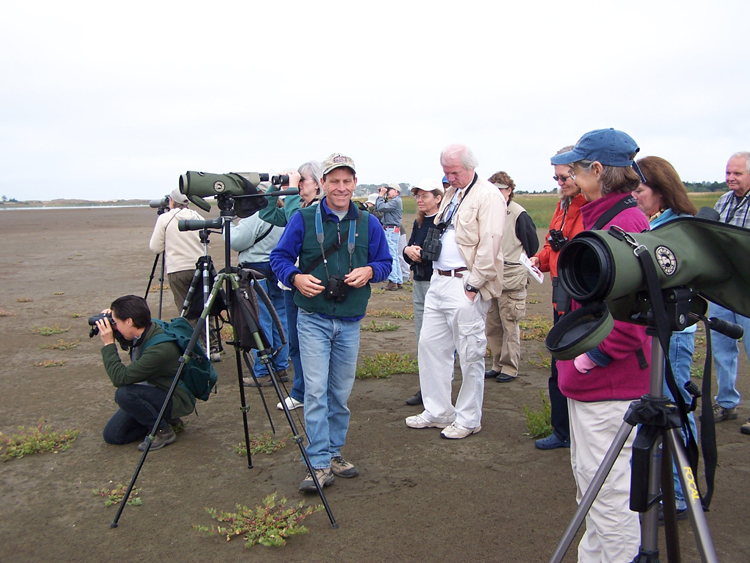 If you have questions or wish to book a tour, please contact me at 707-499-1146 or by email to birdingguide @ gmail.com.